I am so lucky. I can run. I run because it makes me happy. That is an answer I have to give nearly everyday. The conversation may go something like this, and if you are a runner, you will be familiar with these questions. "But why? Why would you want to run when you can drive?" Me: "I like running, besides, I hate driving." Friend: "Yes, but why do you have to run so far?" Me: "Because I can run so far. Why stop at 10 miles if I can run 30 miles?" Friend: "But how do you have the time, don't you have time off?" Me: "That is what I do in my time off. I could run a short distance, but I use my time off to run a long distance. Think of it in your world as not just watching one episode of 'Friends', but watching the entire box set in one go"
Friend: "Oh yeah, I do that... but don't you get bored?" Me: "Don't you get bored of watching repeats of "Friends?" Running makes me happy also because no one makes me do it. I feel free and I feel alive. Everyone runs for different reasons. Some enjoy the competitive side, some like the way their body gets in shape, some do it for health reasons. I run to explore and I fulfil my childlike curiousity to follow a path that leads to who knows where and with the confidence that I have the energy to run back if I get lost. But most importantly, running is a healer for me. It takes my mind off my back pain. Yes, I still get back pain since breaking my back and I have suffered with some form of nerve pain every single day since 23rd December 2008. "It is only nerve pain, it isn't real ....it is only nerve pain, it isn't real". And that way I deal with it, and the pain dims. It is more of annoyance, because it makes me late for work, I have to get up early to walk off all my different pains and sorry to be crude, the bowel problems that are associated with my nerve damage. It makes me so slow in the mornings, everything is a real effort and very tiring. You would think the last thing I would want to do is go for a run. But I look forward to it. I am so lucky. I know my senses will be excited by different sights of the early morning sunrise as the stars disappear and the smell of morning dew evaporating. I will have fun bounding over stony paths and dancing over gnarly tree roots hidden beneath the leaves. I will laugh at myself trying to be clever and leaping over muddy puddles almost slipping or satisfied as I run balancing on cambered surfaces whilst still maintaining a nice gliding speed. I will love the trickling feeling the sweat makes as it drips down my back as I conquer a hill without stopping. I will be happy, immersed in my own world concentrating on my breathing so that it remains calm despite my feet quickening. I will know I am truly alive feeling my heart pounding and my legs screaming in defiance when I don't give up. All these things I look forward to. All these things I can do. I am so lucky. I can run. I am so lucky. I have no excuse not to do it. I know how good it makes me feel after, how much stronger I feel. I won't ever let it get taken away from me. Which is why I was delighted when 'Wings for Life Spinal Research Foundation' invited me to run in the Wings For Life World Run on May 4th. The run is unique and will start at the same time in 35 locations all over the world. In the UK it takes place in Silverstone and you will run for as long as you can until a catcher car that is accelerating at a fixed rate, overtakes you, then you are out. The entire entry fee goes to Wings For Life, which is a non profit spinal cord research foundation seeking a cure for spinal cord injuries. Their motto is ‘Running for those who can’t’. I was nearly one of those who couldn’t run. I am so lucky. I am looking for other people to enter and join me. Not only will you be running for an amazing cause, but you will get a goody bag and an invitation to the after party at the F1 Paddock at Silverstone. The final male and female runners in the World will be crowned the Global Champions. Their award will be a once in a lifetime, round-the-world trip, to the next Wings For Life Run. Entries must be by 27th April. You can join me as part of the team 'The Wanderers' or enter as an individual. Are you lucky enough to ‘run for those who can’t? Last few days before the Grand to Grand Ultra! Just a quick post to say that in just a few days time I will be doing my latest challenge. 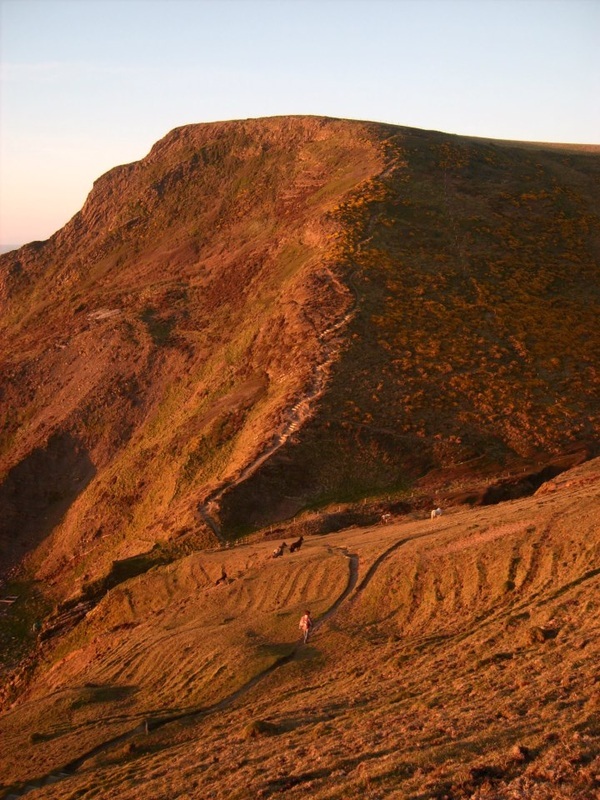 The 'Grand to Grand Ultra' starts at an elevation of 5,344ft (1,629m) and finishes at 8,656ft (2,636m). Day 1, I will have covered 30 miles with a 10kg rucksack on my bag (gulp!). There are six stages over seven days. The long stage is 52 miles long and involves running through the night (which is apparently quite cold). 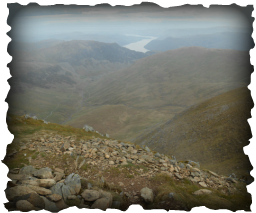 Due to all sorts of circumstances, such as ones mentioned in my last blog, along with my oldest son leaving home for University in Scotland two days ago, I have not done my usual amount of training. I have not trained with a backpack and I haven't had time to do any really long runs. This is not how I would have liked it, as training for me is all about recovering faster at the end. It doesn't mean I won't finish it, but not as well as I had hoped. However, it is still an adventure, and for me it is about having fun ...so, I'll catch up with you all when I am back. NB In the meantime you can email me during the race (although I can't reply). 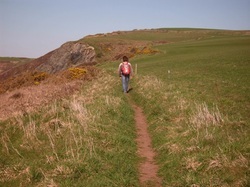 "I am raising money forShelterbox. Your support is greatly appreciated!" Well, you may remember in my last blog, my friend Mark who came on my Birthday walk with me, I mentioned at the end that he had had an accident. This is about his recovery. It has been 13 weeks since the accident. This is what my best friend Mark normally gets up to. Mark was one of the first ever skydivers to sky dive alongside Mount Everest. Mark likes adventure and extreme sports. 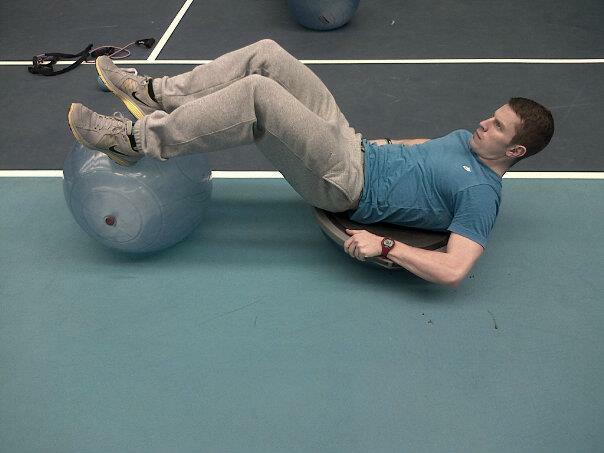 He is fit because he never stops doing something or trying something new. He doesn't go to the gym, he doesn't lift weights, he doesn't do sit ups or any of the stuff that I do and love doing. Instead, he remains in shape through gymnastics, playing squash, playing badminton, and leading me on crazy off road routes on his mountain bike whilst I run behind. Mark goes beyond a normal fit person and has the endurance and stamina of a mountain goat. I remain fit because I train hard and run stupid distances, but we both share a sense of fun with what we do and we both love paragliding. I was going to go on a paragliding trip to France in June, but work took priority whilst my friend Mark, who always finds excuses not to work went. 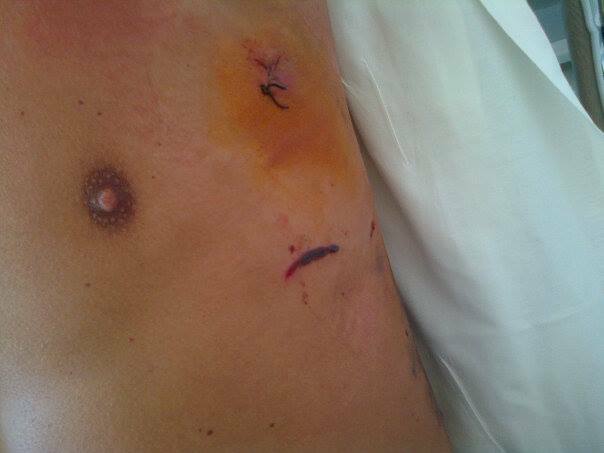 The wound after the lung drain was removed. Apart from that, not a scratch on him from the crash. "I am in Intensive care, but don't worry". 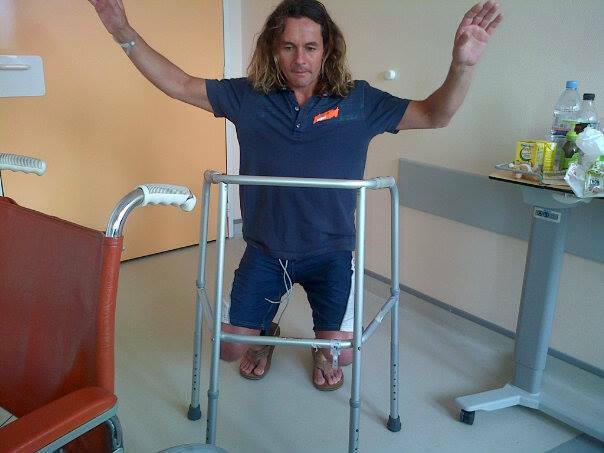 Mark had broken 8 ribs, punctured his lung and broken his pelvis. He was lucky to be alive. Having had an accident once (or twice)and knowing how lonely it feels being in a hospital and also knowing that Mark was unable to fly back because of his punctured lung with the risk of it collapsing again, I decided to un-prioritise work and fly to Annecy in France. I knew Mark would hate not doing anything. The worst accident he had done before was a broken wrist. Mark didn't 'do' accidents, just like he didn't do 'personal training'. Or so he thought. Turns out he was wrong...about both. Mark had already been 6 days in Intensive Care by the time I had got there. He was moved out of the Intensive Care room whilst I was there and put in a different room, which he still had to himself. My french was very poor, but I managed to understand the words 'stubborn' and 'difficult 'when the Doctor nodded his head in the direction of Mark. Mark doing balancing tricks, once he realised it was safe to move. Up until I had arrived he thought he couldn't. I soon put stop to that. Once he started he couldn't stop. I had told him that it was important to keep moving, to avoid muscle wastage and the risk of blood clots. He took this to mean in his ever usual extreme way, that he had to start walking the entire length of the hospital corridor right away and do balancing tricks. It was hard trying to stop Mark from doing too much. At one point I had wheeled him outside to get some fresh air, when he got up, abandoned the wheelchair and started down the stairs to the hospital's underground car park! Mark soon realised how hard it would be coming back up the stairs with a broken pelvis. 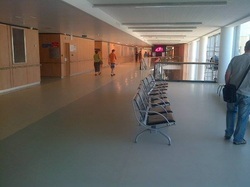 By the end of the week, Mark was discharged from the hospital. We couldn't go home yet though, because Mark had to wait a further 10 days until his punctured lung was healed and was safe to fly. I found us a place to stay near the lake, thanks to a lovely friend I had made called Cathy, well, it was about 3 miles up hill from the lake, but I hired a wheelchair. Everyday I wheeled Mark to the lake and his rehab involved walking around parts of lake, sometimes Mark pushing me in the wheelchair instead! Another lovely friend we met, called Cecile, gave us a set of crutches, so Mark was soon using those! This is Mark on 5th September, just over 12 weeks after the accident. Didn't take him long to get back to his old self! After feeling sad leaving the Trail Ferret Training Camp (see earlier post), but altogether feeling a little fitter after the all the running we did.. I got ready for my 38 mile walk on May 1st. I say I got ready. The plan was to leave early with my friend Mark, drive to Tintagel, leave my van there and walk 38 miles on the coastal path. "We aren't driving anywhere with those tyres". So, nearly £100 worse off for two new tyres and two hours later, we were ready. Bearing in mind it was my Birthday, this didn't seem a great start. Part of the walk. Mark is down the bottom. I hadn't told him there were going to be hills.. 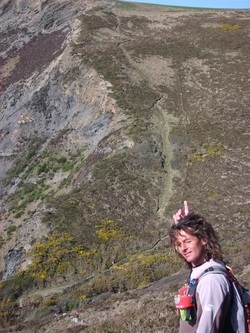 Finally, Mark and I arrived at Tintagel, fighting the traffic most the way and parked the van in an overnight car park. You also have to remember something, yes, I am a Personal Trainer, not your cheesy lycra type exactly, but one nonetheless, and I am Mark's best friend. So, knowing all of this, did Mark have energy gels packed or energy bars or any sort of food? No. Did he have water with him?...Umm...No, he hadn't brought anything. So, at 12:30pm, Mark opted for pub lunch as preparation before the walk. It was my birthday present apparently and then we went to the local Spa to stock on supplies. 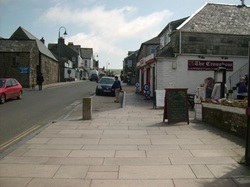 The Nearby Spa Shop and pub. Start of the 38 mile walk. Mark pointing out that when I suggested a walk, this wasn't quite what he had in mind . Anyway.. the challenge was completed, Mark and I walked through the night, (we did start at 1pm) and I was forgiven for the crazy terrain. 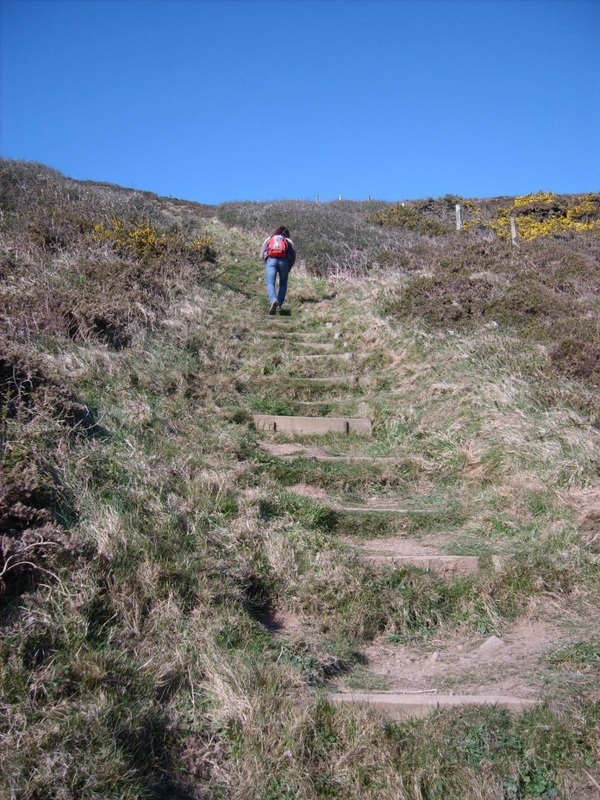 Nothing quite as satisfying as a good hill to get your heart rate going and a sense of accomplishment when you reach the top. Mark, however, used it as an excuse to eat his Spa supplies. Enjoying the view. Worth the walk. And so we finished at 6am...the sun was up by the time we reached the van. Now, where were those keys? NB****This walk took place in May 2013. 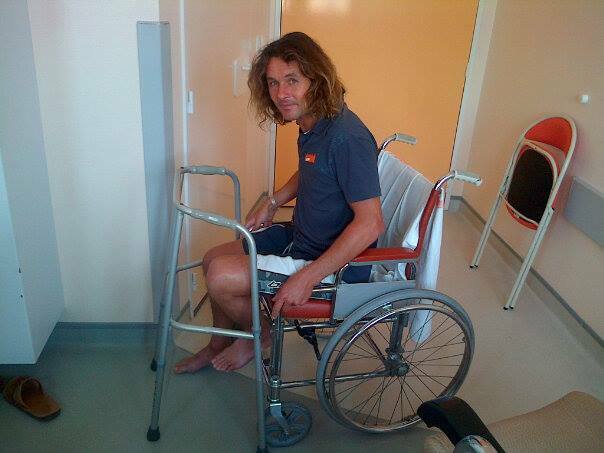 Over a month later, my best friend Mark was involved in a paragliding accident in the French Alps. (Hence, the delays in my blog). 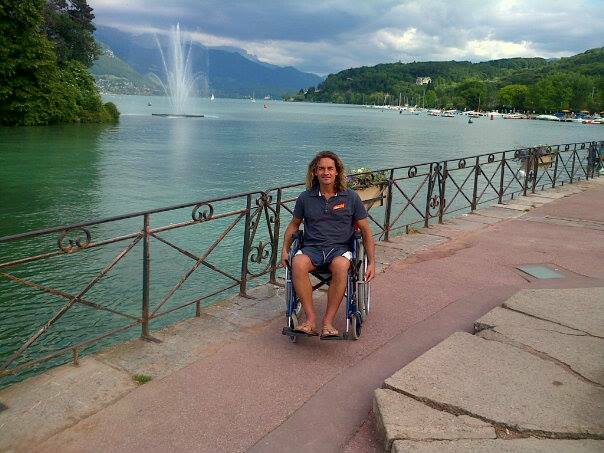 Mark was in Intensive care for a week in Annecy Hospital. 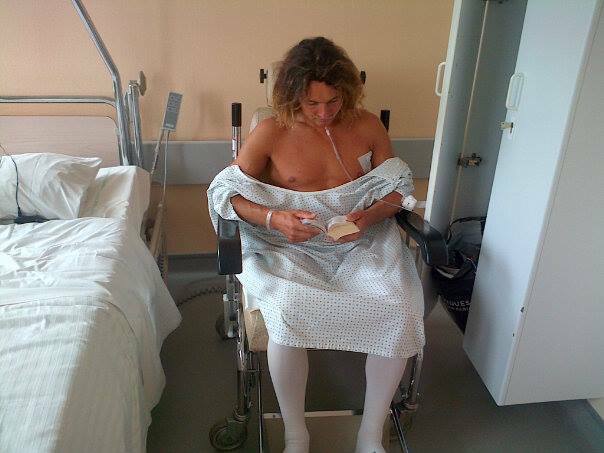 The next blog will follow his sheer determination during his recovery when I flew to France to look after him. 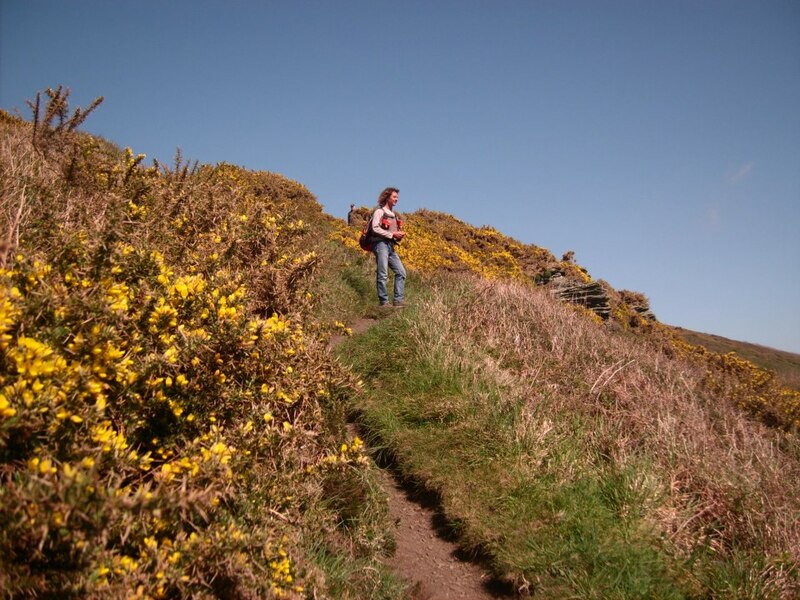 Had to share this - look blue skies and sunshine in Cornwall! 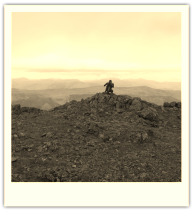 I have written a short list of things I have been up to since my last blog. I will split the details of what is in the list into TWO parts, as it is just all so exciting ...you will need an interval to make yourself a cup of tea and nibble on some (healthy) biscuits in between. 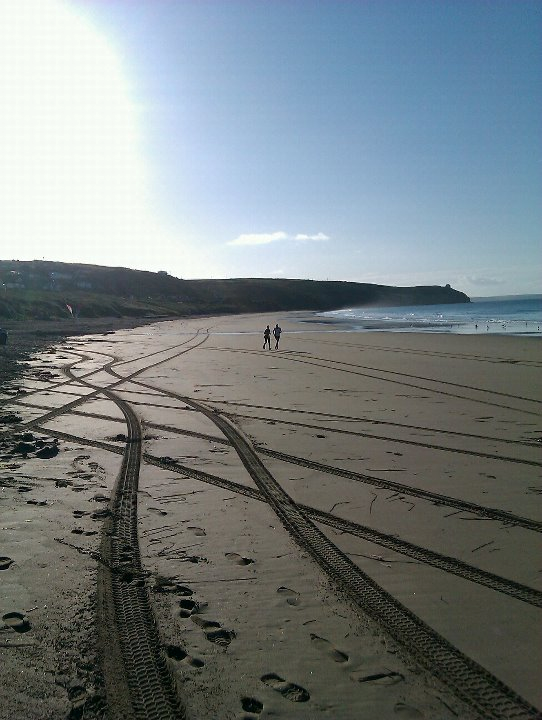 - We had sunshine in Cornwall! 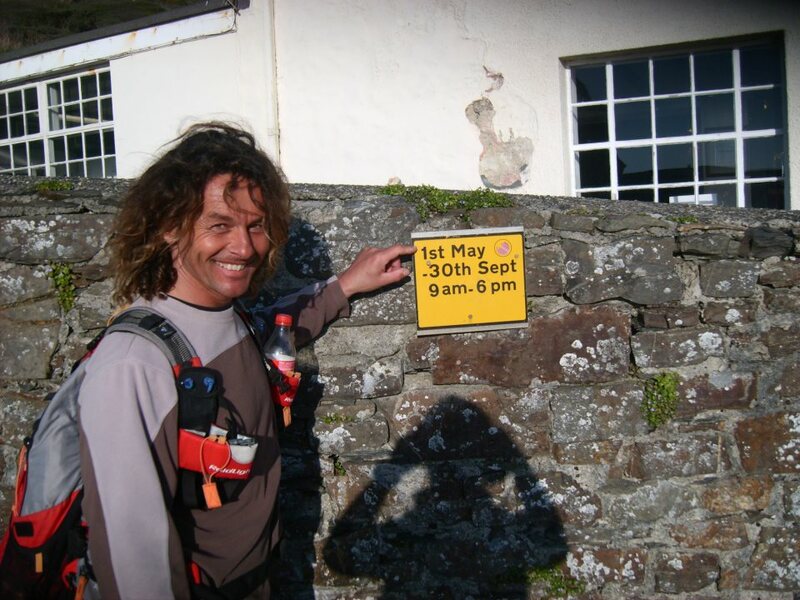 - Did my Annual distance in miles to Birthday years walk, starting from Tintagel. 21 miles ...well ok, a few more than that. My drastic haircut. Left just enough to fit in my rucksack when I run. Phew! Did I mention we had sunshine? I don’t really have much to say about my haircut, accept that my hair still fits nicely into the side of backpack when I run, and I can also still tuck it into my shorts when I do burpees, (otherwise I end up jumping on it and that isn’t fun) so that was a useful thing to share with you and a tip for anyone with that in between hair length that doesn't fit into anything. although I did get lost around the University campus where it was held, as there were no signs and nearly missed my Interview for ‘Fitness Instructor of the Year Award’. 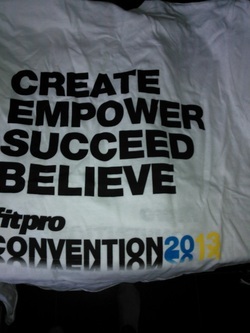 By the way, Fitpro is an Association for Fitness Professionals with over 125 000 members in 82 countries. Fitness professionals can join it to stay up to date with current fitness trends and you can also get insured through them. That wasn't a plug by the way, as I am also a member of Reps (Register of Exercise Professionals). going into wrong buildings looking for the Interview room (which incidentally wasn't in a room with a swimming pool) I recruited the help of a Fitpro Team member who said he would take me straight to the building where the Interview was being held. toilet, so I was in an even bigger rush. The poor Fitpro guy practically ran with me to get there, leaving behind the comfort of his little registration stand. He took a turning into the wrong building (turned out he worked in IT, so didn’t actually know where I was supposed to be and also wasn't used to running) came out of the building, found the right building, where upon he rushed in. I meekly and hesitantly waited on the other side, whilst listening to him apologise for bursting in on another candidates interview. Good start. I think the sign read 'Interviews'. The Interviews were running a little late, so I had time to meet another Finalist called Darren Tyrie who runs Bootcamps, and to explain to him what a buffoon I was getting lost and so on, and also time to go the loo. When I returned he was looking a little red. His wife, Nichola, was next to him, giggling. He had stood up to go the toilet and split his trousers just before his interview. Brilliant! A fellow Buffoon! intended on going to a lot more, but I couldn’t find them. I joined up with the 2 guys and we tried out the exercises Douglas Brooks was demonstrating on a bosu. My last taster workshop, I was in fact, not supposed to be in, but I was on time so that was a bonus. No, it was not to say how amazed they were that I had actually got this far as I couldn’t even find my way around a University. Well, actually in a way, yes, amazed that I had physically got this far after my accident and had inspired others along the way, so that was a proud moment. All I could stutter into the microphone was a thank you. Wow, it has been ages since I have written anything, sorry to have kept you all waiting. Firstly, I am absolutely amazed that I have reached the Finals for Fitness Professional of the Year at the National Fitpro Awards (five of us in total). Thank you to everyone who voted for me, once again we really did push some boundaries to get a little Personal Training business in Cornwall on the National Grid! I don’t work for a big fitness company; I started my own based on my ethos that you shouldn’t let anything hold you back. I don’t do cheesy stuff and I also don’t believe in excuses. 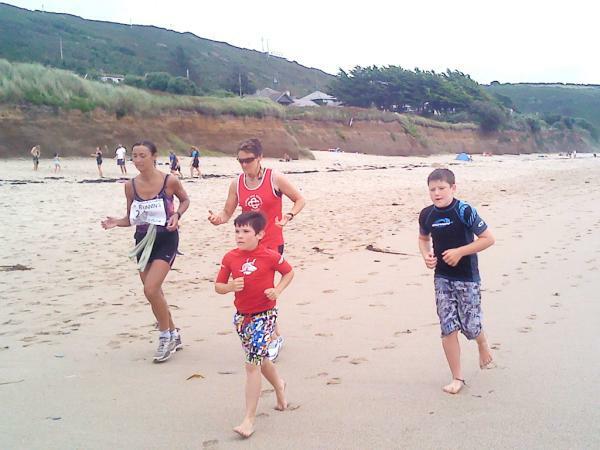 Today, I bumped into some tourists on my local beach who reminded me that they had run some laps with me last year during my 24 hour Charity run on the beach. They said they have continued to run ever since as they had never realised they could actually run! This is what it is all about, discovering things you thought you wouldn’t be able to do after falsely believing they were out of your reach. if you resign yourself to a label, you define yourself as such and you will never change. You have to change your way of thinking before you can ever change yourself physically. looking at my x-ray after my accident. Instead, I am still trying to find things to push myself to do …why? Why not? Why live on third hand experiences from our couches, watching the TV, which shows seemingly amazing people do incredible things. My x-ray of my broken back. I keep reminding myself how lucky I am. Yes, I still get pain, but it doesn't stop me! but you know what? It won’t get you anywhere. I get bored of hearing myself whinge sometimes, I forget myself occasionally, when my back is aching or I am getting nerve pain and I think about giving up, and then I remember, there is always going to be an excuse why not to do something which requires effort or is hard, but if we want to achieve anything in life, we need to stop pandering to every little niggle we get, sure,if you have a REAL injury STOP, until you are recovered. But, most of time, we are seeking any old excuse to eat sit on our back sides and let Bear Grylls (who broke his back) or Adventurer Ranulph Fiennes do all the hard work (after all Ranulph only lost all his finger tips from frost bite and had a double bypass operation then proceeded to run 7 marathons in 7 days four months later). What do they know about our sore calves and achy knees, if only they knew what being tired is really like ... hmm....sound familiar? You have to push those boundaries, those people I bumped into today did! What's your excuse? Ok, so you don't need to run through the night like my friend Mark and I did during the Marathon Des Sables. As you can see from the photograph above, it does nothing for your hair ... but you can avoid the excuse of not being able to do an early morning run, if you have a headtorch. I know the mornings are dark and the evenings are dark. I won't deny this has affected my running. However, I have entered a new challenge for September next year, so with this in mind, I am feeling very motivated. This means I have to fit my running in at stupid o'clock on some days, so I depend upon my headtorch.. it keeps you training on your busy days in the winter months. Next September I plan to run in the Grand To Grand Ultra. This is roughly a 167 mile run over seven days in the Grand Canyon. It is a self sufficient run, like the previoius runs I do, so I will be carrying all my own kit again. Now, I get asked all the time how do I train for these events, do I just run loads and loads?... Well, yes and no. Running is important, but equally so is injury prevention. 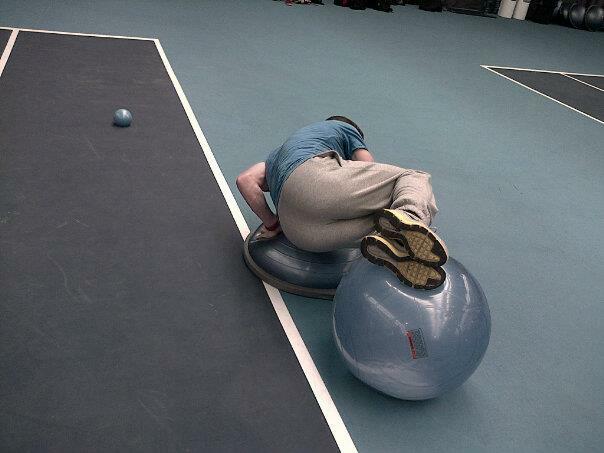 The best way to avoid injuries is ... no not stay in bed... but to get strong! The stronger your muscles, the better state your body will be in. In my case, strength training is particularly important because of the history of my broken back. 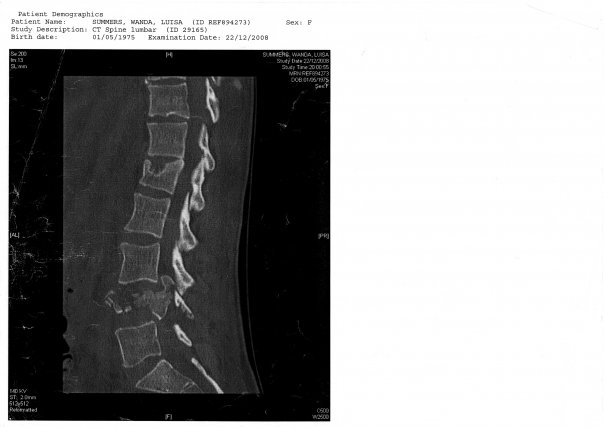 This December, it will be exactly four years since I burst my L4 vertebra and told I may never walk again. I am one lucky girl. I can do more than walk...and I keep putting myself to the test to see what else I can I do. I do things that someone with a back injury like mine is 'not supposed' to do and told you can't do by Doctor's who have never themselves broken their back, because I believe if my body allows me to do it, then there is no reason why I shouldn't. So, I do barbell squats, deadlifts, good mornings and use the leg press. Lately, I have been having alot of fun with 'Crossfit' training. Crossfit is hard and intense, but the great thing about it is form is everything. I have had the luxury of being coached by a certified Crossfit Instructor who also happens to be a Rugby Coach, so as you can imagine he really tests me! My back feels incredible for it. I am stronger now than I ever was. This is the last workout I did. This was done as quckly as possible but keeping good form throughout. I managed it in 9mins 16 seconds. I will beat it next time! So, as you can see, it isn't all about running for me. I like my workouts to be about challenges. It's what makes training fun. I don't like routine, I need to jazz things up. With my running, I have taken my mileage right down because of all the extra leg training I am currently doing. I am starting from 30 miles a week, building it up each week by about 10 per cent more. One day a week I do a long run. I am starting with a 12 mile run, and building that long run up each week. My aim will be around 125 miles a week. This will happen gradually, as every four to six weeks, I bring the mileage down again a little, then build up by 10 per cent again. My training on a graph would look like lots of rolling hills! I will also do one run a week with a rucksack. I start with it light, and then over the weeks build the weight up to 12kg. Once a week I either do a hill rep training session, which just means I run up the same hill several times, but I find a nice looking steep one, or I do a speed workout. I don't do both in the same week. My speed workouts I usually do on my treadmill because I tend to cheat less, as I am watching my speed all the time, and I am less likely to injure myself by jarring. When you are missing a disc, you have to be careful runnning fast! Of course, all this training takes time, and I fit it in around work. I usually train five clients a day, and I often do the workout with them. I don't include any runs I do with clients as part of my own running miles. That's why I have a good quality headtorch. Buy one yourself, then you won't use these shorter winter days as an excuse. 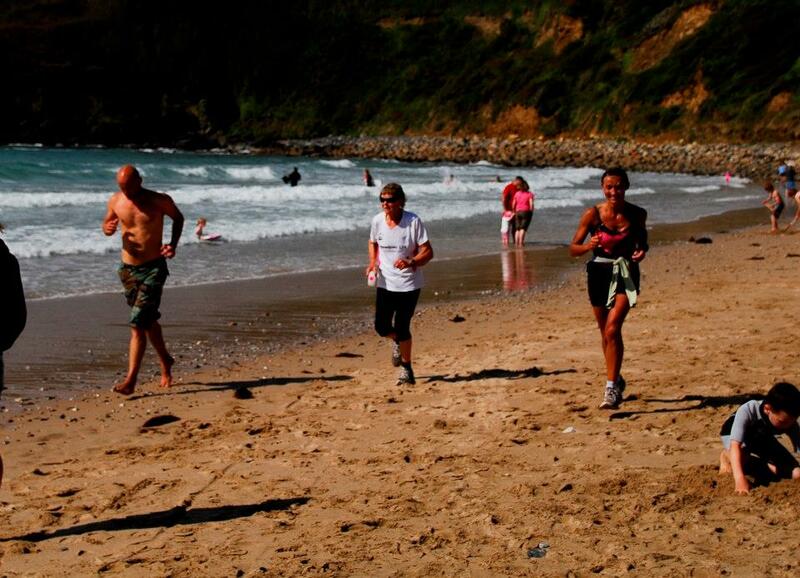 August Bank Holiday last year, I completed a 13 hour non stop run on Praa Sands Beach to raise money for a local lady who was seeking alternative treatment abroad for cancer. I had heard about this young lady through a friend who was also raising money for her, and had been touched by her story to try everything in order to live. The whole day went better than I expected, apart from a minor glitch in the morning, when my van didn't start! I didn't have a single low moment, every time someone new joined to run with me, my motivation would surge to another level. Random tourists on the beach, who didn't know what was going on, were asking if they could join in and run with me. So many children joined in, including two boys in particular, Miles and Mason. They were only eight years old but ran over 10 lengths in total during the day. They even came back in the night, just before 11pm to run with me. They were amazing! Other friends of mine joined me throughout the day; ones that I knew was hard for them to run, ones who ran because they decided today would be a good day to kick off their fitness, ones who had medical conditions but didn't let it stop them. 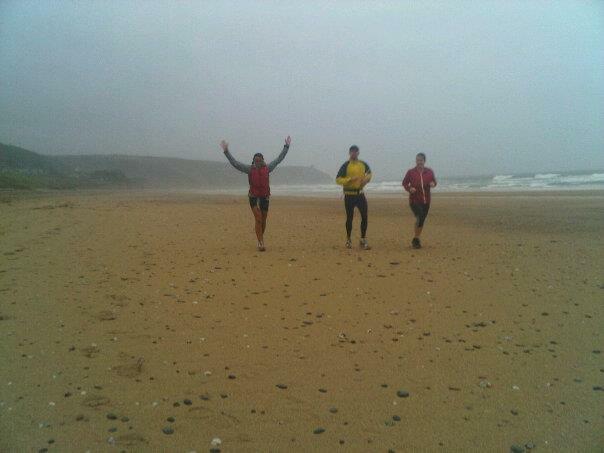 I also met some incredible visitors who had heard about it on Radio Cornwall and came down to run! 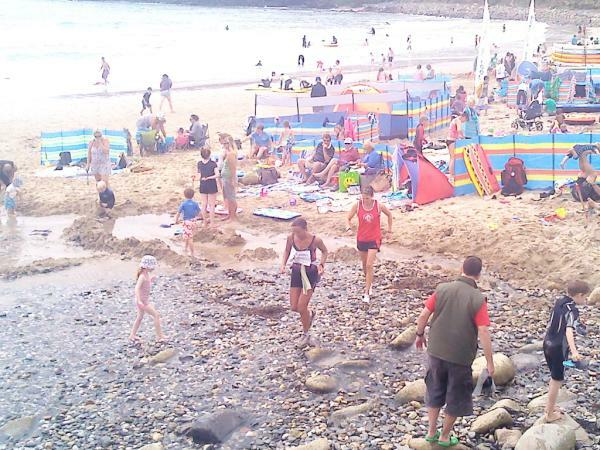 Holiday makers came back down to beach after midnight to join in, and had a camp fire on the beach! I was never alone running for more than 10 minutes for the whole 24 hours!! The support was incredible. A special mention has to be made for my incredible sons, Anoki (15 years old) and Dalano (17 years old), who ran with me from midnight to 4:30am, and their friends Jake Carley and Ayson Coker! How many teenage boys do that?! They deserved a medal, they were up all night! They even missed 'Party in the Park' in Penzance for me!! Then, I was joined again by Andrew Philips and Emma Bouch in the last couple of hours of crazy pouring rain, and it really did rain properly, as my friends keep reminding me, although I was so happy by then for my legs to be feeling so good, that I didn't mind! My two best friends, Steve Coles and Mark Finch helped to make it all possible and were up all night to make sure I had enough drinks to remain hydrated etc. Mark left the Stones Reef surf shop lights on so that I had a 'beacon' to aim for on the beach. Without them, it would not have been possible. and Jaime Gaspare, was also to raise money for Shelterbox sold out within a couple of hours, and we wished we had bought more burgers for it! Jaime Gasparealso generously donated a three course meal voucher as a prize for the raffle, at Senara Restaurant in Penzance. Other prizes came from 'At Your Pace', specialist running shop in Helston, 'Cycle Logic', in Helston, James Baker from Kamikaze Boarding and from Nigel at Alder Sportswear. I don't know how much I have raised altogether for Shelterbox yet, as I had to return straight away to work in Portland/Weymouth in the gym at the Paralympics, for Technogym. I know £370 was raised online in two days, £85 from the Barbeque, and a couple of hundred from the raffle, and once I return the sealed collection box to Shelterbox, hopefully they will tell me the total. I am guessing between £850 and £1000. finish time, when I completed my 24 hours of absolutely non-stop running. I ran a total of 115 and a half lengths (I stopped at 7:21am) of the beach. Each length is just under a mile long, depending upon the tide, the shortest a length gets before you get wet is three quarters of a mile. I honestly loved every minute of the whole 24 hours. I am just a bit worried knowing how my brain works what my next challenge is going to be...? Finished 7:21am Monday. 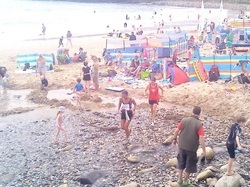 115.5 lengths of the beach!